Hello it's Movie Day!Are you all comfy?Got your popcorn and snacks handy?Let's start the show! These are from recent outings I have had over the last few weeks,I hope you enjoyed the show! That was sure fun Speedy! I love your sweater Speedy! It must have felt good to get out and hop around in the sun - even if it was chilly out. Fresh air can be so refreshing! How about one entitled "Speedy in a spinach patch"? You're a busy bunny, aren't you, Speedy?! I think you Approved Of the fact that your wild cousins lived where you took your hoomin Mummy for a walk, in the first video. Maybe they will have discovered that their house-bunny cousin had come to visit their land! Speedy! Yous way better on the leash than mes is! And mes LOVES to sees yous in your sweater! Yous so furry manly! 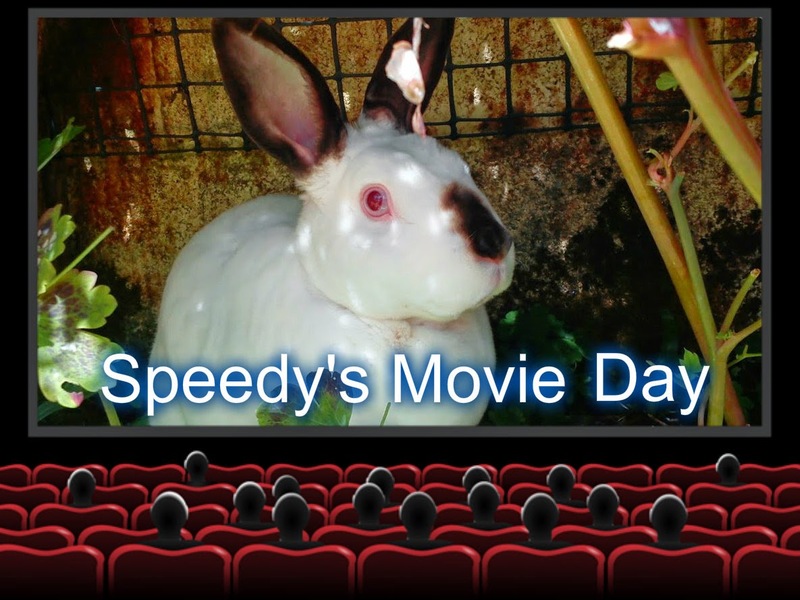 Speedy, you always look like you're having so much fun on your outings! lovely to see you out in the sun! I just love watching you on your adventures Speedy! Yippee for outings and good smells! You really get going and we could watch you out in that beautiful land all day! P.S. Sadako gives you little bunny kisses. Hey Speedy....you gots some pretty awesome countryside to go running around in....and drag Mom along!